When Henry Edison turns up in Lancaster County to survey farm women about their domestic contributions during the 1930s, the last thing Amish housewife Gloria Grabill has time for is the government agent's unending questions. While the Great Depression shadows the country in gloom, can Amish and English neighbors in Lancaster County grasp the goodness that will sustain hope? 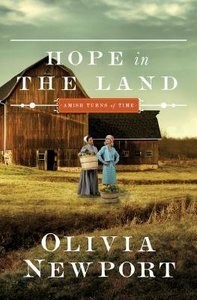 About "Hope in the Land (#04 in Amish Turns Of Time Series)"